Synthetic drugs continue to make headlines despite the continued effort from both government officials and law enforcement to put a lid on the problem. Arguably, synthetic marijuana continues to be the most popular synthetic drug; however, unlike traditional cannabis which has relatively predictable side effects - synthetic marijuana does not. 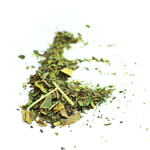 Synthetic marijuana is made by spraying chemicals on plant material, which users then smoke. There is no oversight or human testing conducted before the insidious products are shipped out for personal use. You may ask yourself why people would put themselves at risk of experiencing such troubling side effects, aside from being easy to obtain - most standard drug tests do not screen for the chemicals used to make synthetic marijuana. The difficulty in testing for synthetic drugs makes them ideal for a number of people who cannot get away with using traditional drugs. Perhaps even more concerning, law enforcement officials are finding it hard to prove that synthetic drug use is the cause of traffic accidents, The Seattle Times reports. While synthetic marijuana use is not a major problem in Washington, partly because traditional cannabis is legal, those who are drug tested for employment have been turning to these dangerous drugs. In some cases of vehicular traffic deaths, prosecutors have had to charge defendants with lesser offenses because proving synthetic drug use is difficult, according to the article. There have been a number of cases of synthetic marijuana users experiencing blackouts behind the wheel, which has resulted in injuries to others. “Synthetic marijuana products are very dangerous drugs. We don’t know what’s in them, they’re not tested for safety or efficacy, and the effects are entirely unpredictable. Of all the abused drugs out on the market, synthetic marijuana scares me the most,” said Dr. Alexander Garrard, clinical managing director of the Washington Poison Center.